March the 26th is a very special day for those with Epilepsy. It’s Purple day. Purple day is a day to raise awareness of Epilepsy and its a international Occassion. We wanted to do something bigger than we had done previous years, we had done wearing purple, planting purple plants, purple cake stalls we wanted to go bigger. 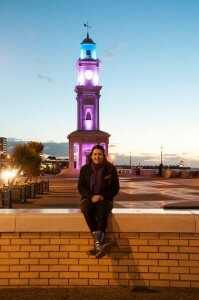 I had heard of some Buildings all over the world which turn purple and then the Herne bay clocktower came to mind. It had recently been renovated to a really high standard and this renovation came with state of the art lighting. 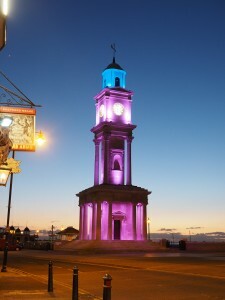 We got in contact with the “friends of the Herne bay clocktower” and asked weather it would be possible to turn the clocktower purple for purple day. They said Yes! As a landmark of Herne bay this was a huge thing for Team Jo Epilepsy Foundation which I founded only a year ago. It would show support of Epilepsy in Herne Bay. This means the clocktower joined buildings such as the Blackpool tower, Bradford’s city Hall , Toronto’s CN tower, Belfast’s Parliament building and The white house by supporting Epilepsy. 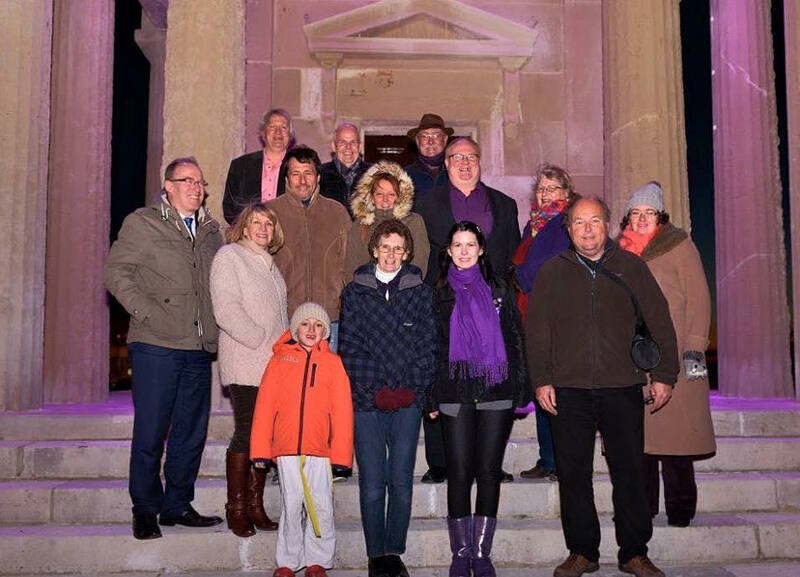 We arranged a joint Occassion to celebrate and met at the clocktower on Thursday March 26th to view the purple in support of Epilepsy all over the world. Photo of Friends of the Clocktower and Team Jo Epilepsy Foundation. The event was a great success. In addition to this Team Jo Epilepsy Foundation held a huge purple raffle, Of which many business’ from Herne Bay including The Activity Box, The Cake School, Paul Mitchell and Frangipani’s donated prizes. Supporters also helped raise money via cake stalls, sweetie jars and other sponsored events. 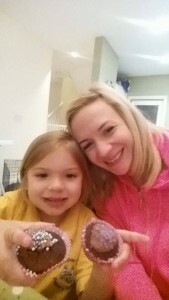 Em Mummery and her daughter Ella made purple cakes and did a “guess how many sweets in the jar” It was good education for Ella to understand Epilepsy a little more. They raised £40 in total Well done Em & Ella. The total raised on purple day was £250 which will go towards raising enough to buy a home monitoring EEG system for Kent and Canterbury Hospital which will make a huge difference in Epilepsy Care in the area. Click to see the article on the East Kent hospitals website.